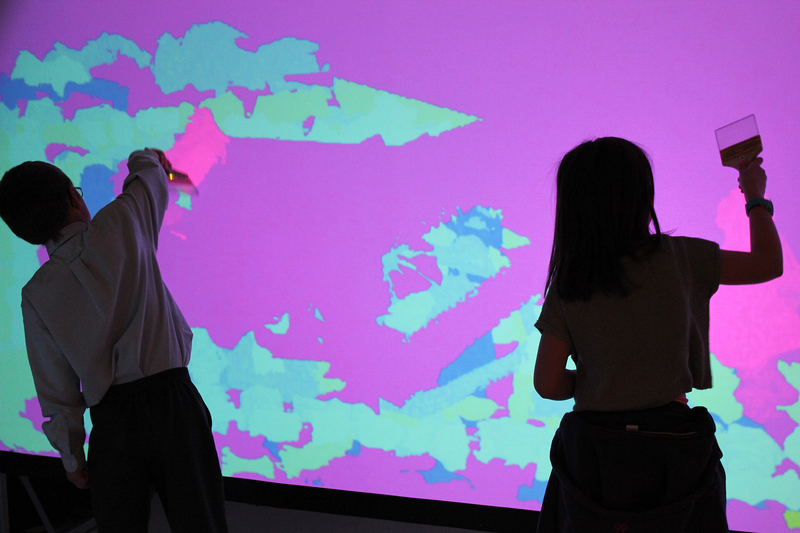 Sing & Paint is an interactive installation that encourages the audience to explore the colour and texture of their own voice. 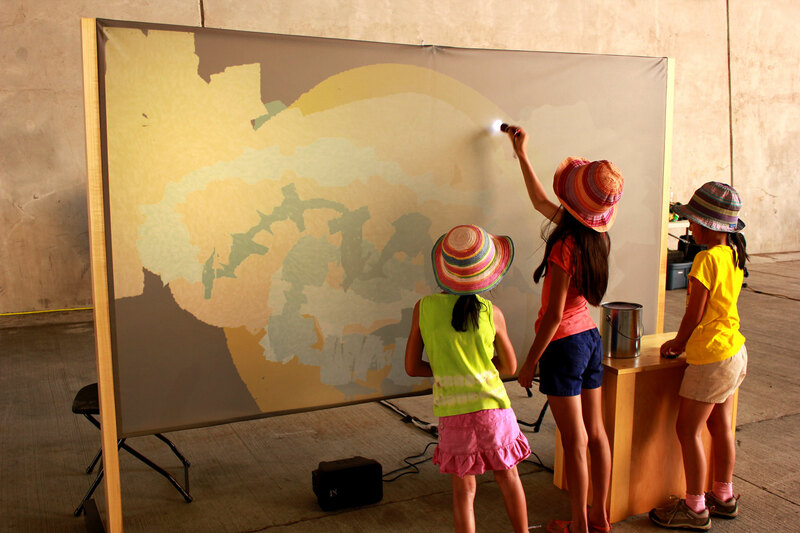 The participants are invited to record a short sample of singing (or speaking) into a special paint can, then pick up a light brush and paint on a digital canvas. As they move the brush, their voice is transformed into virtual paint. Their recording plays back to accompany their painting with pitch determining colour and brush stroke adjusting playback speed. Available for reproduction, please contact us for more details.